Juki Is The World's Largest Manufacturer Of Industrial And Domestic Sewing Machines. New Genuine Juki 900 B Industrial Sewing Machine direct-drive motor. COME AND TRY IT BEFORE YOU B..
JUKI DDL-8100e INDUSTRIAL LOCKSTITCH SEWING MACHINE, ENERGY MOTOR. 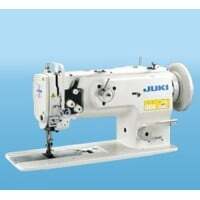 Juki provides a wide range of ..
JUKI DDL-8100e INDUSTRIAL LOCKSTITCH SEWING MACHINE & NEEDLE POSITION, ENERGY MOTOR. Juki pro..
JUKI DDL-8700 INDUSTRIAL LOCKSTITCH SEWING MACHINE, ENERGY MOTOR. Juki provides a wide range of s..
Genuine Juki DDL-8700 Industrial Sewing Machine - With needle position Energy Saving Servo Moto..
Genuine Juki DDL-8700 Industrial Sewing Machine - With needle position Jack Energy Saving Servo..
JUKI DDL-8100e INDUSTRIAL LOCKSTITCH SEWING MACHINE & NEEDLE POSITION, LIGHT, ENERGY MOTOR. J..
JUKI DNU-1541 Walking Foot Needle Feed Lockstitch Straight Stitch Industrial Sewing Machine&nb..
JUKI DU-1181N - 1-needle, Top and Bottom-feed, Lockstitch Machine With Needle Position ..
JUKI DU-1181N - 1-needle, Top and Bottom-feed, Lockstitch Machine Suitable for upholstery, leathe..
JUKI DNU-1541 Walking Foot Needle Feed Lockstitch Straight Stitch Industrial Sewing Machine ..
Genuine Juki LU-1509N walking foot Needle Feed heavy duty + Energy Saving Servo Motor. COME..
Genuine Juki LU-2810 S walking foot Needle Feed heavy duty + Energy Saving Servo Motor. 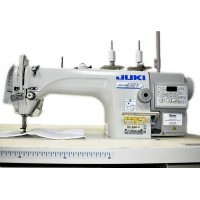 NEW JUKI ..
Genuine JUKI MO-6804S 3 Thread Overlock Industrial Sewing Machine. COME AND TRY IT BEFORE YOU BUY..
Genuine JUKI MO-6814S 4Thread Overlock Industrial Sewing Machine. COME AND TRY IT BEFORE YOU BUY ..
Genuine JUKI MO-6816S 5 Thread Overlock Industrial Sewing Machine. Juki provides a wide range of .. Creating products - is an amazing experience. You’ll be able to make whatever you want to with your desire materials. If you’ve got an industrial sewing machine and you’re trained to use it, the opportunities are almost endless. At Konsew we’re passionate about giving you the best chance of making everything you desire with our range of the best Juki industrial sewing machines. For over eighty years, the Japanese manufacturer Juki has been a leading brand for the production of sewing machines of various types and purposes. Production facilities of the company are located in the industrial centers of the world, namely in China, Japan and Vietnam. Juki sells its products on all continents and almost in all countries of the world. In 2013, there was signed a contract between two main whales of the technology market - Juki and Sony, and from 2018, began the cooperation with Hitachi. What technologies The Juki industrial sewing machine uses? You’ll find the latest technology coupled with the experience that Juki have in the industry in every product that we stock at Konsew. Trusted around the world for both their industrial and domestic sewing machines, you can put your faith in Juki to offer you the quality and durability that you require. the special system, which is designed for internal and side seams, as well as for attaching clamps to jeans or trousers. The shape of the sewing machine head has been significantly modified to expand the sewing space, thereby improving the processing with Android system. The latest technologies in the production of Juki automatic industrial sewing machine make it possible to sew the most difficult parts of clothing. This simplify simplifies the time-consuming sewing process of the multi-layered sections, namely, skipping or assembling of the stitches, detection, and correction of the incorrect seams. In addition, the functionality of the machine allows you to easily change the settings in real time, which significantly reduces the preparation time of the process. Choose the best machine in our store! We provide a wide range of Juki machines. Juki industrial sewing machine for the best price is waiting for you! Now the online store Konsew combines the knowledge and experience of the market and ensures that the best solutions for the sewing business are available only here, on the web-site website Konsew! Konsew is your guarantee of the quality and good prices! To find out more about our selection of sewing machines and the difference they can make, get in contact with us.